To ensure the high performance of your IT infrastructure, easily scalable and fault-tolerant servers should be selected. 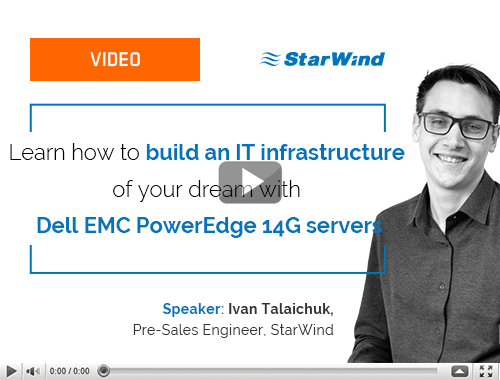 Find out from this video why Dell PowerEdge 14 Generation servers are the best option for your IT infrastructure. Webinar: Save yourself the money & the hassle – build an all-cloud IT infrastructure! To minimize infrastructure resources costs, you can deploy a fault-tolerant storage in the cloud. Find out from this video how & why to do this. To make your production resistant to any accidents, you need a disaster recovery site. 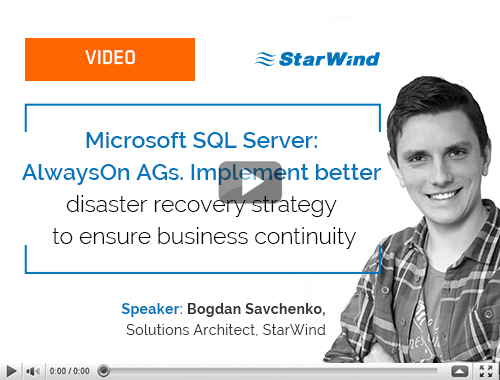 Find out from this video how to build one with SQL Server AlwaysOn Availability Groups. Organizations are still using tape for a variety of reasons, but many want to take advantage of the cloud for their tape backups in order to maintain business continuity and unlock enhanced reliability and simplicity. 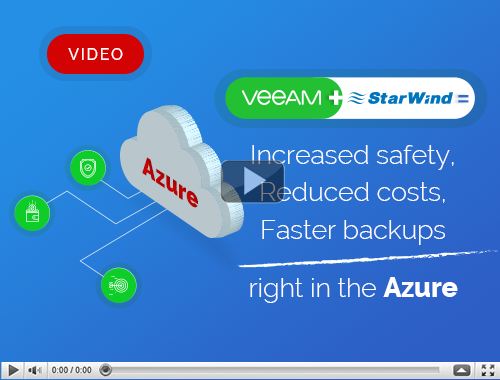 Veeam® Backup & Replication™ customers can leverage a seamless integration with StarWind to get their virtual tape library backups off site and into Microsoft Azure — delivering fast backup, granular recovery and huge cost savings, with no change to the existing backup infrastructure. Typically, picking Software-Defined Storage for a VMware vSphere environment is a hard nut to crack for admins. They are to stick to strict hardware compatibility lists or master some special skills to deploy it. 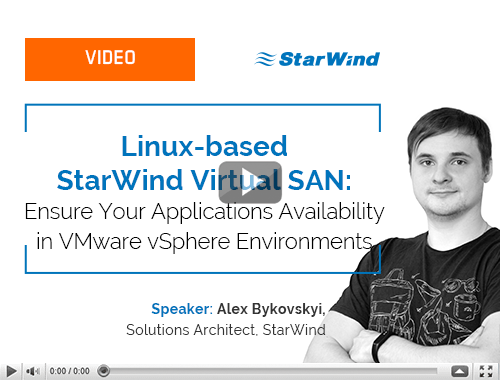 Learn from this video how to avoid all those pains with Linux-based StarWind Virtual SAN. Building cloud-based environments is a hot topic in IT these days. However, there still are companies that cannot migrate their workloads to the public cloud for some reasons. Here is where the hybrid cloud comes to the play. 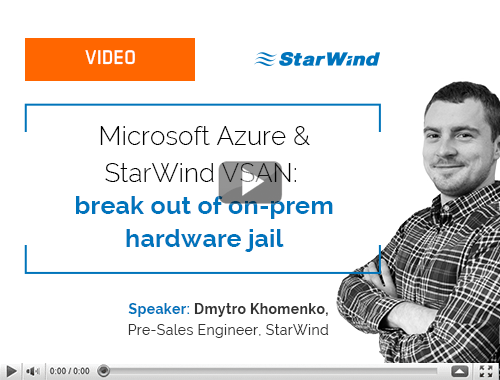 Learn from this video how to build such environment with Microsoft Azure and StarWind Virtual SAN.